All Sorted Business Services provides Autoentry to all clients at no cost. 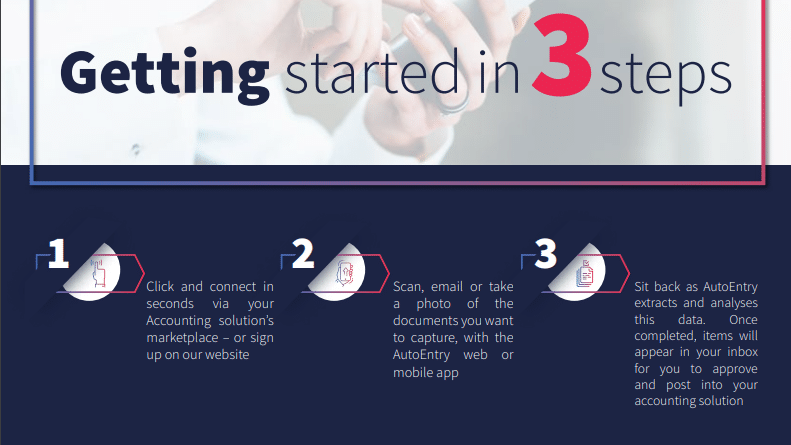 The system automates the creation of invoices and receipts which reduces your bookkeeping costs, improves the accuracy of your data and ensures that transactions are entered in a timely fashion. Your bookkeeper will set up Autoentry, set up an account for you and integrate it with Xero for you. However, there is some set up required at your end. Please note, that should you decide not to use Autoentry we will have to charge separately for the additional time it takes for manual data entry and the chasing of missing invoices, if required. The mobile app is available for both Android and Apple devices and can be downloaded in the respective app stores. You can find it by searching for AutoEntry or clicking the links below. Once scanned invoices are sent through to Autoentry the system uses state-of-the-art OCR technology to read, analyse and upload tax invoices to Xero. Over a 2-3 month period your bookkeeper will ‘teach’ Autoentry to allocate invoices to the correct accounts in Xero. Once the system has been ‘trained’ invoices will automatically be created in Xero by Autoentry. This process normally only takes a few minutes. Invoices can be uploaded using an App on your phone or emailed to your All Sorted invoice email address. 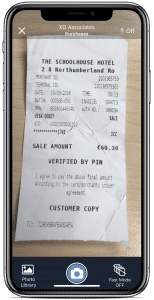 The App is used for snapping pictures of purchase invoices. It is very easy to use. You will now see a list of invoice with your newly uploaded invoice with a status of ‘Uploading’ and then ‘Processing’ (or Pending if you have selected the wifi only mode – see the settings button). It will also show the progress of other invoices in your Autoentry inbox. Note: When you start using Autoentry your bookkeeper will ‘train’ the system, so invoice may take a while to appear in Xero. As the system becomes better ‘trained’ the invoices should start to move straight through to Xero without any human intervention. If you have A4 invoices to upload, we recommend scanning these rather than taking photos, as the image quality is often poor quality and the Autoentry struggles to read these. Please check your phones camera resolution to make sure that you are not taking huge photos, as these will take a long time to upload and will chew up your data allowance on your phone. Here are instruction on how to check this on an android phone and an iphone. When setting up your system your Bookkeeper will have set up an All Sorted invoices email address for you. If you don’t know your invoices email address contact us and we’ll give it to you. Any invoices that are emailed to you can be forwarded to this address and they will then be processed in the same way as uploaded invoices. If you have invoices emailed to you regularly from a supplier (such as telephone bills, or subscriptions), you can set up an email rule to automatically forward these emails to the invoices email address automatically. Here are some instructions on how to do this for Gmail, Mac and Outlook. More help is available on the Autoentry help site. Otherwise contact us and we’ll help you out. ← How to Auto-reconcile Stripe in Xero?